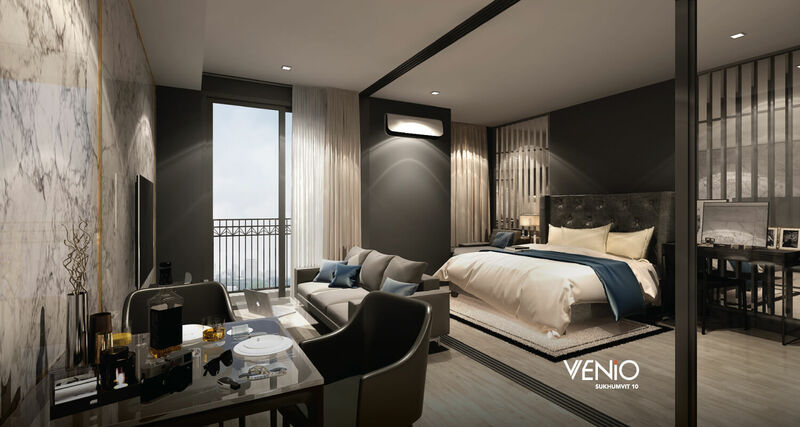 Venio Sukhumvit 10 is the ideal project for investors who want a brand new property in the heart of the CBD without the large price tag that is typically attributed to new build properties. 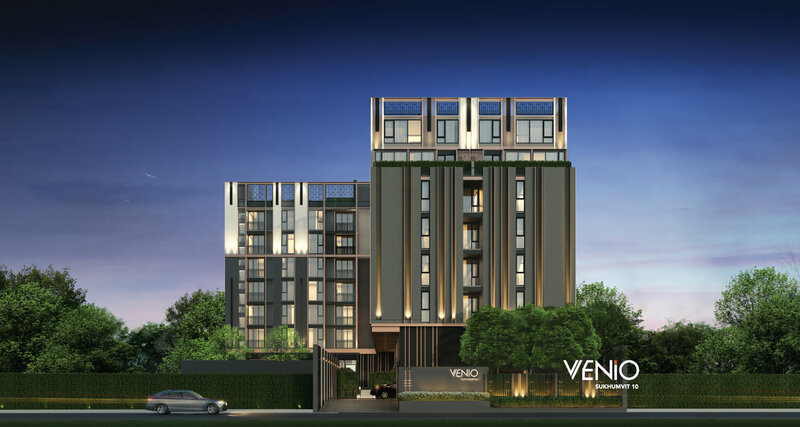 Built by Bangkok's leading PLC developer, Venio Sukhumvit 10 is a boutique low-rise development in the heart of Bangkok's CBD and one of the most popular positions on Sukhumvit Road. 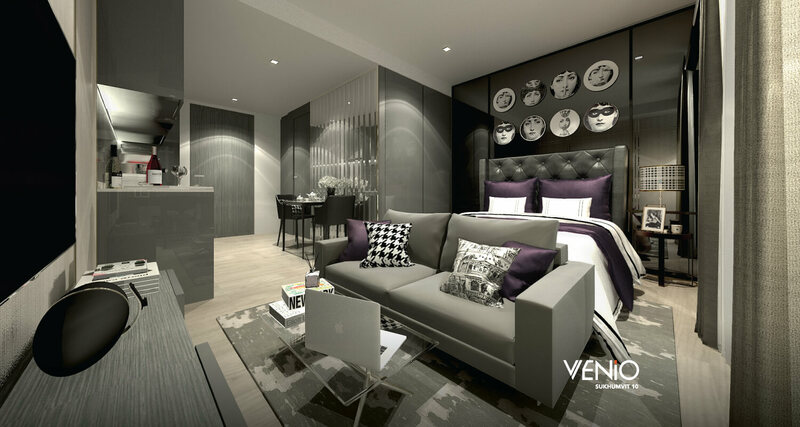 Located on Sukhumvit Soi 10, BTS Nana is 650m away from the residence and BTS Asoke is 750m. 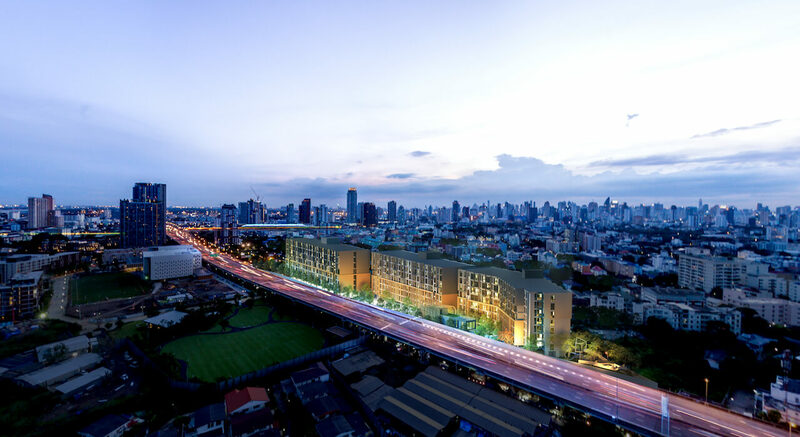 Asoke and Nana together are a prime business and leisure district hosting many hotels, offices, shopping centres (including Terminal 21) and the area is famed for the surrounding nightlife. 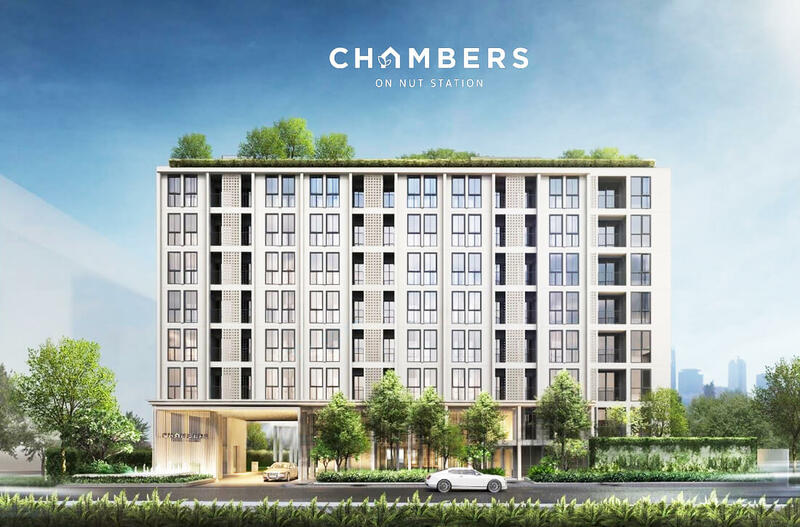 It should also be noted that nearby are Chuvit Garden and Benjakiti Park which is practically on your doorstep, just 150m from this residence. 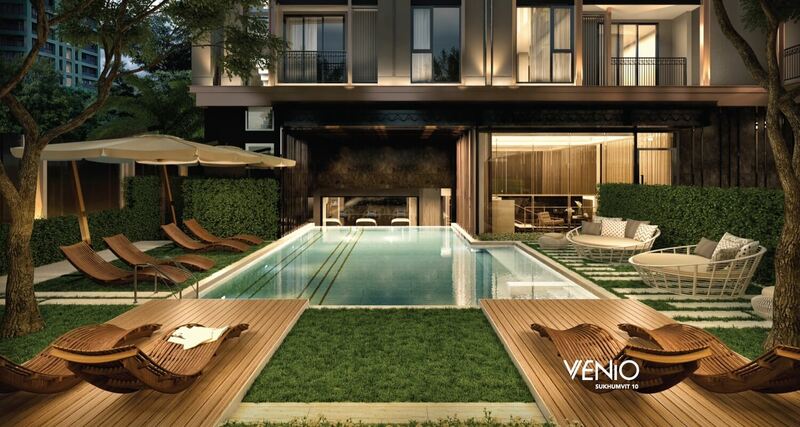 A popular place for residents to unwind, exercise or bicycle around Lake Ratchada. 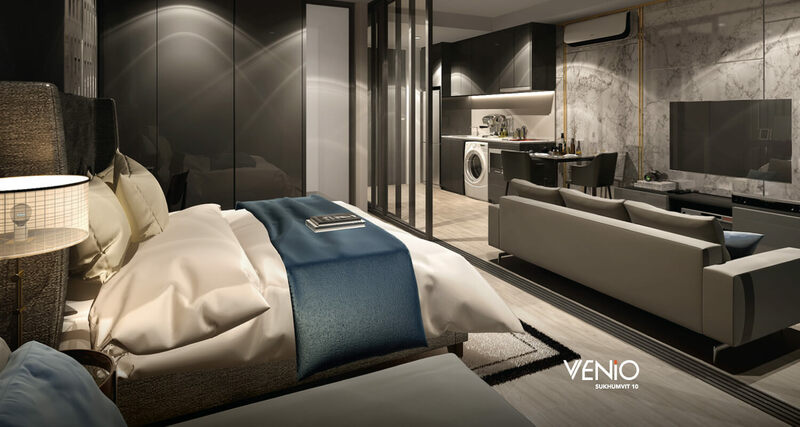 Venio Sukhumvit 10 is eight floors high with a basement car park. 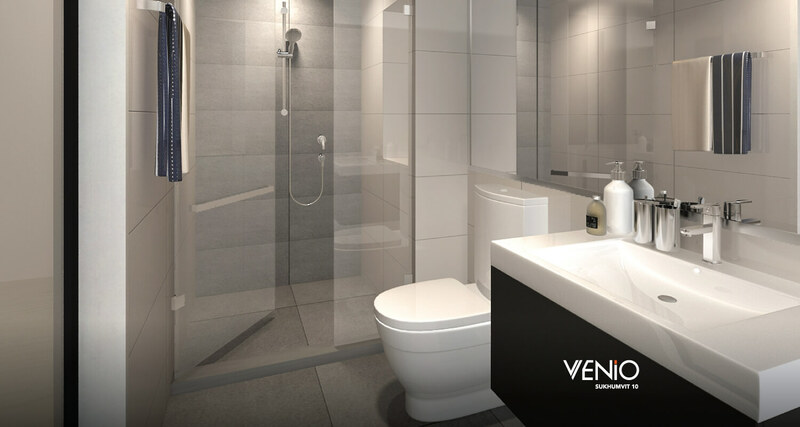 Communal facilities are located on the ground floor and rooftop. 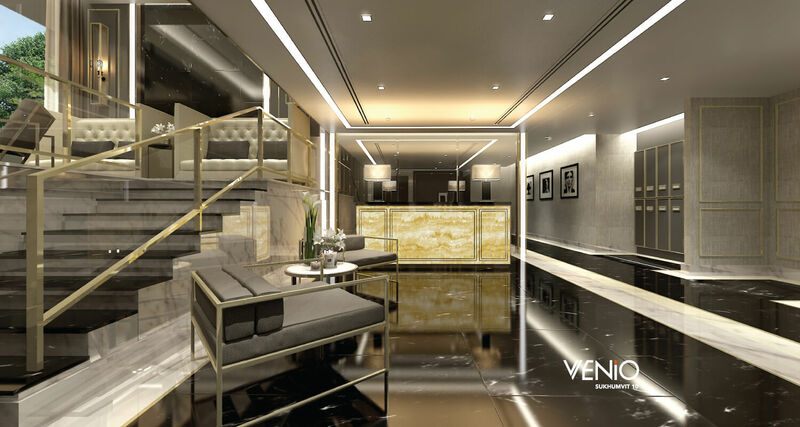 This exclusive residence houses a small total of just 162 units. 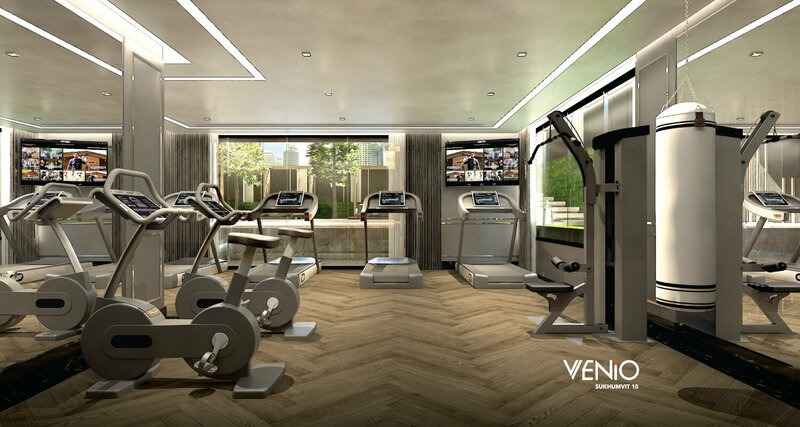 The project features a tranquil swimming pool with a sunbathing deck on the ground floor with an overlooking fitness centre. 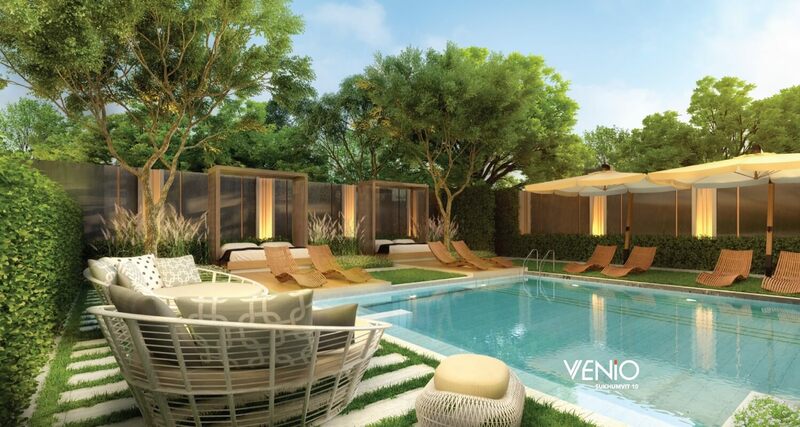 Good use is made of the rooftop where the space is utilised as a large garden, a perfect place for relaxation and privacy.